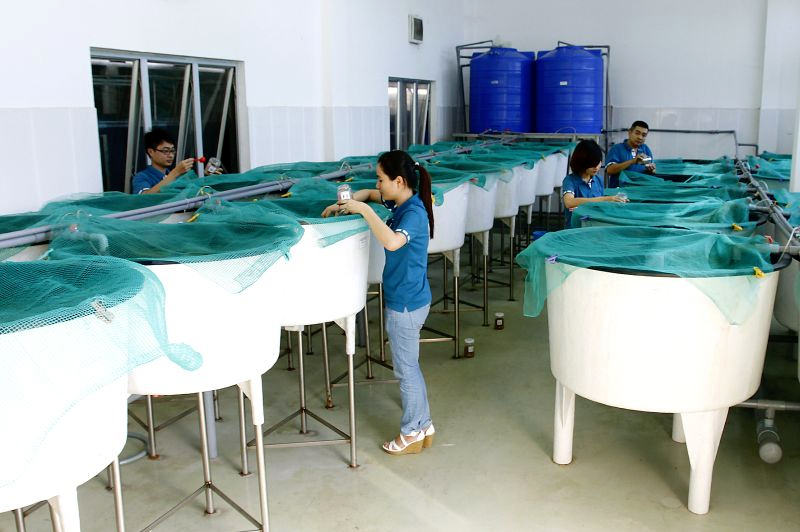 Behn Meyer Aquaculture recently inaugurated the extension of their aquaculture research facilities in Binh Duong, Vietnam. 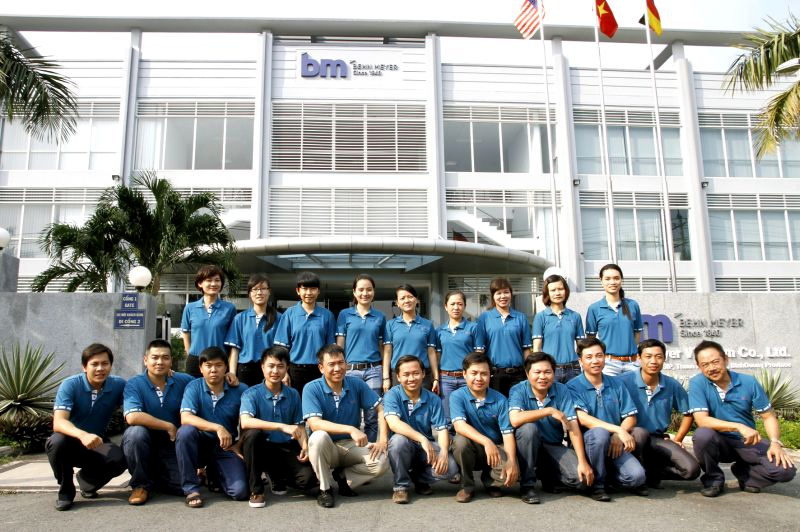 Coinciding with the World Aquaculture Society Meeting in Ho Chi Minh City, the regional team of Behn Meyer Aquaculture accompanied key customers to Vietnam and invited them to a tour of the premises. In December 2011 Behn Meyer inaugurated the first phase of the Aqua R&D center, and only two years later is now able to present the expansion to the public. "The first phase comprised of two recirculation systems with twenty four 200 litre and twelve 500 litre indoor tanks, which we use for feeding studies with freshwater fish such as Tilapia and Tra catfish", says Ms. Minh Huong, head of the aquaculture business of Behn Meyer Viet Nam. 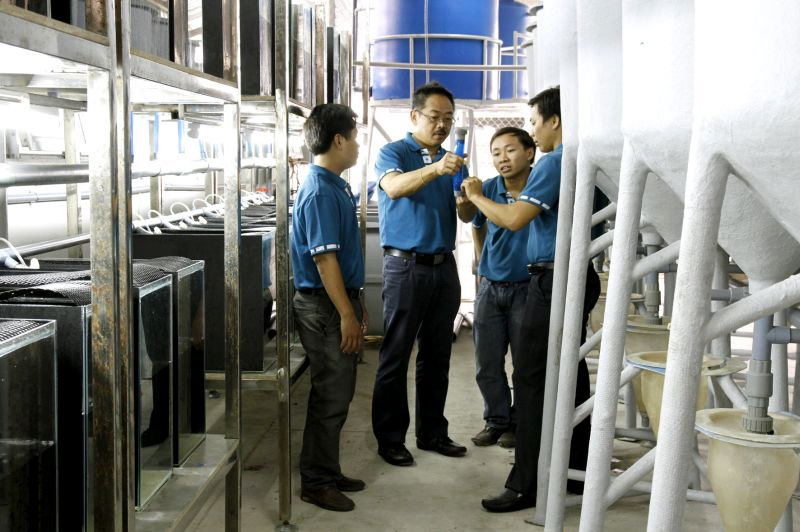 "The extension now adds marine systems for trials with shrimp and sea bass, as well as a sophisticated digestibility tank system, with which we will provide in-depth nutritional research to our clients", elaborates Dr. Kok Leong Wee, Behn Meyer's Regional Technical Manager for Aquaculture. "Our customers are excited about the possibility to get real data about the nutritional value of their feed ingredients and additives from us", he adds.